Certain vegetable oils that are high in lipids can reduce heart-threatening fat found around the organs. A new study suggest that a diet high in the lipids found in grapeseed can reduce the risk of heart disease and diabetes. The controversy about whether all unsaturated fats have the same impact on weight gain and metabolic syndrome (a medical term for a combination of diabetes, high blood pressure and obesity) motivated the researchers at The Ohio State University to test this. They found that people with higher levels of linoleic acid (a polyunsaturated omega-6 fatty acid) in their body tended to have more lean body mass, less inflammation and less fat around the vital organs. Also, higher linoleic acid (LA) levels were linked to a lower chance of insulin resistance related to type 2 diabetes. 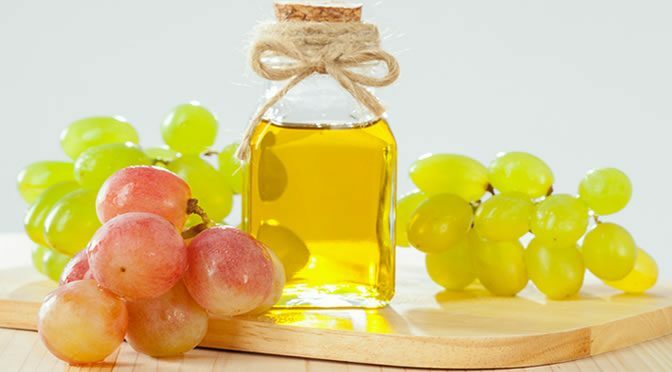 Grapeseed oil can contain up to 80 percent LA and other vegetable oils can be a good source (but not olive oil). LA not only can be effective in the prevention of heart disease and diabetes but also can benefit older adults by improving their lean body mass which can help them lead an independent life. Unfortunately, oils rich in LA have been disappearing from the supermarket and replaced with those rich in oleic acid. “Vegetable oils have changed. They’re no longer high in linoleic acid. There’s been a pronounced shift in the last five years. The study was published in Molecular Nutrition & Food Research (Belury et al., 2016).